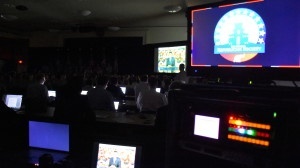 In the run up to the 2016 presidential election, AV Connections, Inc. has had the pleasure of providing speech AV rentals to two presidential candidates. 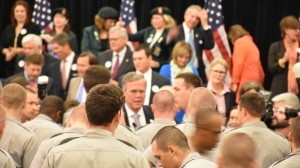 This month we were pleased to be the AV provider for Governor Jeb Bush's address to The Citadel's Republican Society. In December 2014, in preparation for his 2016 campaign, AV Connections also had the pleasure of presenting Donald Trump on our AV. We feel blessed to represent important voices, but certainly the pleasure of turning on the sound for people who may one day run the free world is a special kind of honor. Every client is precious to us, which is likely how we continue to be selected as the speech AV rentals provider for esteemed national voices and organizations.  It is important to note that AV Connections, Inc. does not endorse candidates, parties, or opinions. But we do endorse information which keeps voters informed. 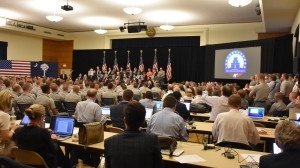 We are committed to do everything we can to be sure every voice, at every level is heard with perfect clarity. One day any one of these speeches could be returned to as a marker in our nation's history; we will not fail to project them powerfully and with accuracy. We can only hope we were standing by to hear words which better the nation's future. We are, after all, a generational family company. Our minds are as focused on the present as the future. 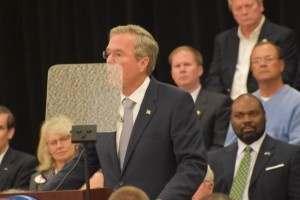 And we are as riveted with the power of presidential messages as any guest. 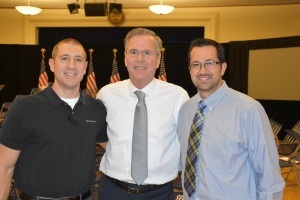 We took a moment, as speech AV rentals provider to Governor Bush's speech to The Citadel Republican Society, to get a picture with the candidate, and, as always, to count our blessings. 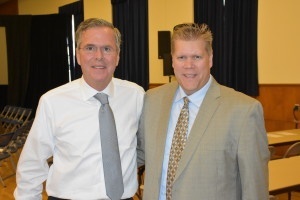 2016 will be an exciting year for many reasons, not the least of which is that this free nation will elect a new president. We are humbled to deliver the sounds of their voices as they come to Charleston, and we are acutely aware we are witnesses to American history in the making.